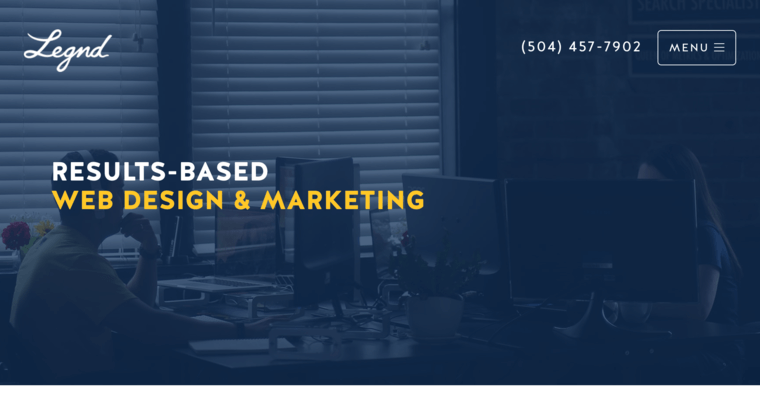 Legnd is a web design agency that focuses on custom web design projects for clients based in New Orleans, where Legnd itself is based. 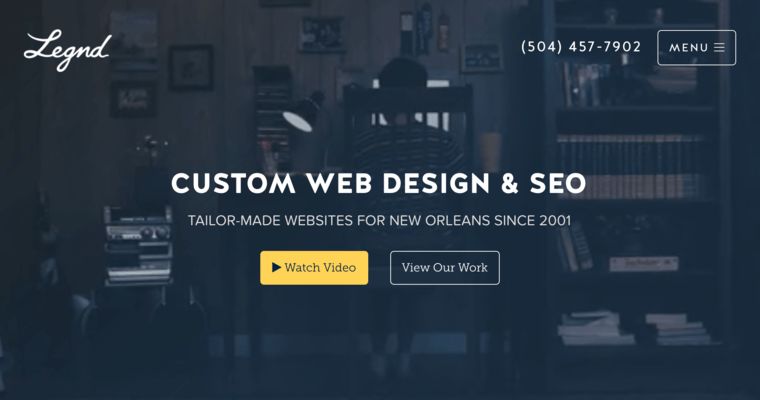 However, it has locations in Baton Rouge, Louisiana and Houston, Texas, and its portfolio includes clients from far beyond Louisiana's borders. Despite employing a small team, it has delivered customer satisfaction on par with high-profile web design outfits. Legnd engages its clients personally in order to find out about the particular industries they deal in and what trends those clients' competitors are currently following. 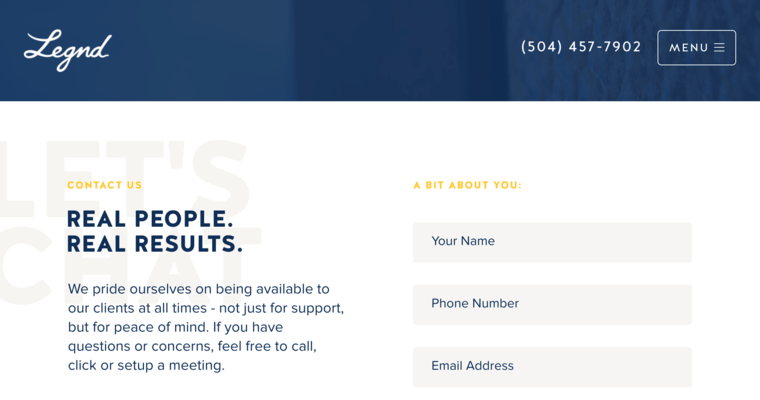 In addition to crafting a fully customized website that serves its clients' unique needs, Legnd propels the expansion of its clients' brands by designing a distinct logo and supplying printed marketing materials such as business cards. It also performs the ethical SEO practices necessary to drive up traffic toward its clients' new websites.